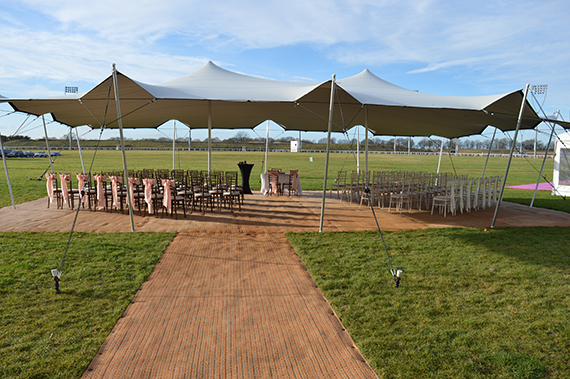 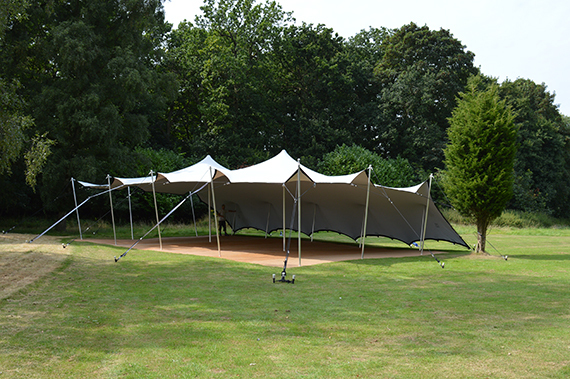 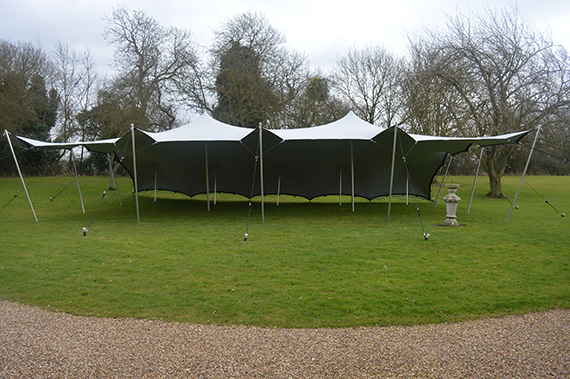 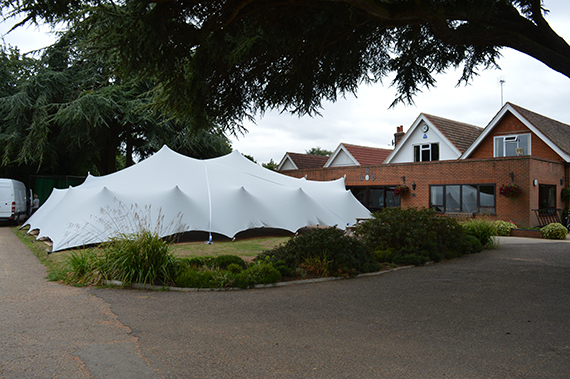 Stretch tents make a fabulous and very cost effective alternative to frame or traditional pole marquees and tipis. 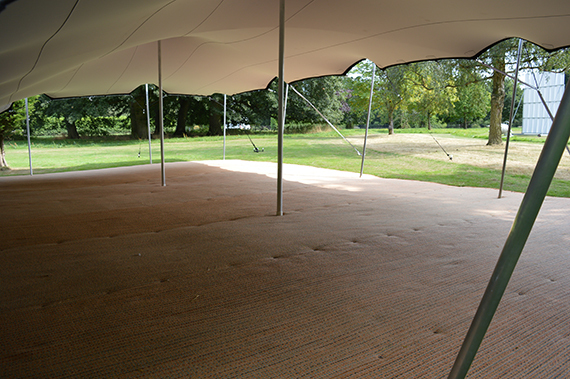 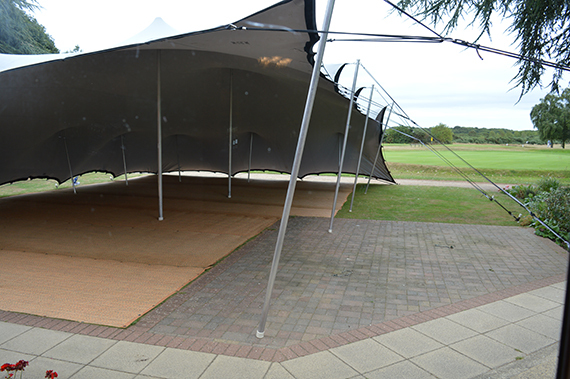 Our platinum stretch tent offer a stylish contemporary sleek design and are ideal for weddings, parties and events. 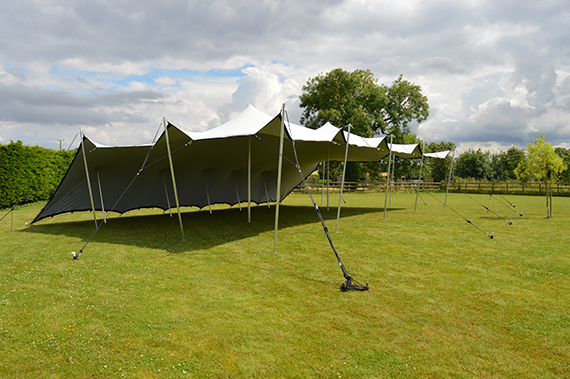 Our stretch tents are made from an incredibly strong fabric which can be configured to suit any space for your wedding or event. 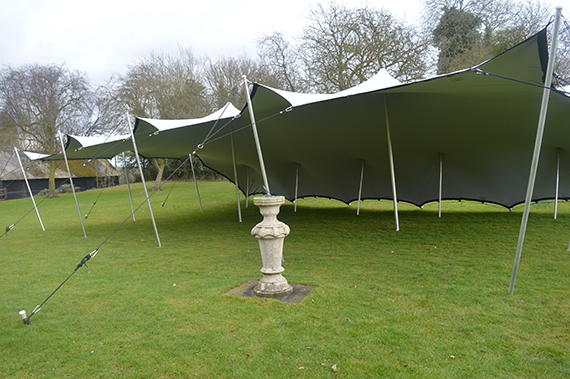 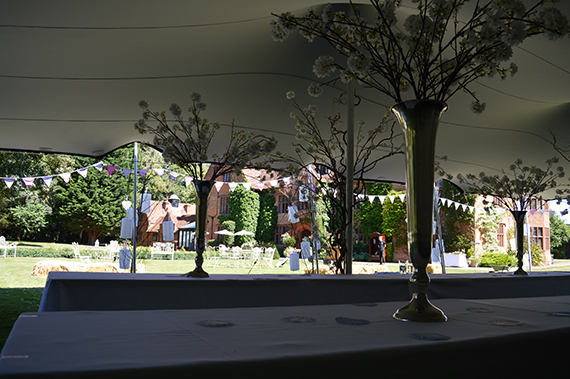 With all the sides up it becomes a beautiful unobtrusive canopy floating above your guests heads. 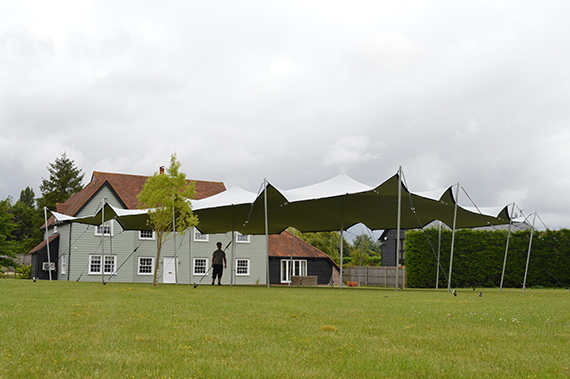 With the lowest point at 3m you retain uninterrupted views which make the stretch tent particularly useful as a contingency against rain or sun for wedding uninterrupted. 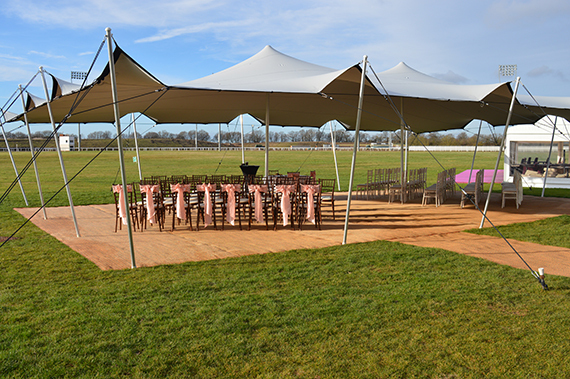 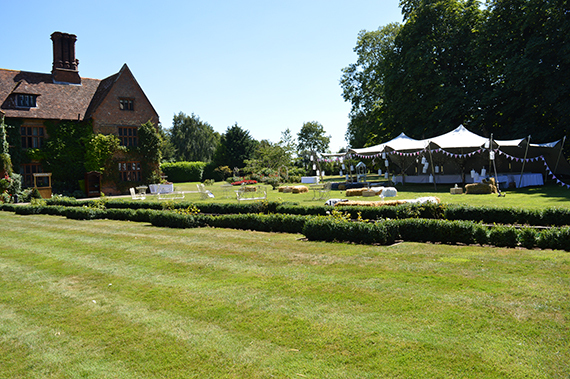 Party package Stretch tent, Marquee matting, round banqueting or long trestle tables with premium chiavari chairs for 80 guests.